Acne and pimples are very common skin issue these days. It can be attributed to a large number of factors. Poor diet and lack of enough consumption of water are on the top of the list. There are the variety of remedies available for it. However, the organic and home remedies yield long-term results. There is a large number mask made up with ingredients from your pantry, that can be very effective. Below listed are some remarkable home remedial masks for acne and pimples. Note: To have effective results from a mask, it is very important to properly cleanse your face prior to its application. The best way method is to clean up the pores by taking a hot shower and by steaming your face with boiled water. 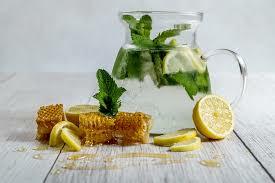 The combination of honey, green tea, lemon, and sugar make up an excellent remedy for acne and pimples. The antioxidants present in green tea and the antiseptic properties of honey will reduce the redness and inflammation. For the application, mix one tablespoon green tea, one tablespoon of honey, one teaspoon lemon juice and three teaspoons sugar. Mix these ingredients and make them in a mask consistency. Let it on for fifteen minutes and wash it off. For maximum results, it is recommended to use powdered matcha green tea, pure organic honey and raw sugar. The combination of honey, baking soda, and coconut or olive oil can do wonders for your skin. Additionally, baking soda removes dead skin and makes the skin brighter. For application mix one teaspoon baking soda with one tablespoon of honey with either one teaspoon olive or coconut oil. After thoroughly mixing, apply this mixture all on your face. Massage it for a couple of minutes in a circular motion. Leave it one for ten to fifteen minutes and wash off with Luke warm water. For best results, it is recommended to use organic honey and virgin coconut oil. A mixture of Turmeric, Greek yogurt and honey can be extremely helpful in overcoming acne and pimples. Mix one teaspoon turmeric with three teaspoons Greek yogurt and one teaspoon of honey. Apply the mixture all over the face. It is best to use the brush or either cotton for application of the paste to prevent tint on your fingers. Let it on till it dries. Rinse it off with warm water. If still there is yellow tint, use dilute apple cider or any toner to get it off. Mix one teaspoon of ground cinnamon, two teaspoons of aloe Vera gel and three teaspoons of organic honey for a remarkable mask for acne. Mix the parts and put on it. Message it on your face for a couple of minutes. Let it on for ten minutes. Apart from treating acne, this mask will also help in removal of blackheads. However, this mask might not be suitable for sensitive skin. Combine Apple Cider vinegar, honey, and baking soda to cure an acne outbreak. Apply it all on the face. Let the mask for around thirty minutes. Wash it off with Luke warm water. For optimal results, the apple cider used should be organic as it is the case with honey. Papaya is an as remarkable home remedy for acne as the remarkable fruit it is. Mix up two tablespoons of ripe papaya with equal quantity (one teaspoon) of organic honey, lemon juice, and coconut oil. Apply the mixture all over your face. Let the mask for fifteen minutes and rinse with lukewarm water. Jane Scott, is a nutritionist, with excellence in home remedies for a variety of health concerns. She also blogs regularly at https://homeremediesforlife.com/.